The goal is the key ingredient in all team building and learning exercises. Every corporate training day, every activity, it's all about finding that elusive gold at the end of the rainbow, which helps your team take new skills and put them in the proper setting. This is an outcome: the ability to translate what you've learned from the day into the daily work environment. It's rewarding to learn how to load, aim and fire a gun. But the real payoff is when you take that confidence in your ability to master new skills (and hit targets), and put it into practice. As you reassess your workflow, or take up your contract management duties with a renewed vigour. Outcomes are built into the DNA of good training events. Understanding this is key to selecting the right activity for your team. Rather than starting with event type, and working out how to shoehorn your desired learning goals into it, a good training day begins with its eyes on the prize already. You choose the outcomes you want, then find out how to instil them in your team in fun and novel ways. An outcome tends to be a clear solution to a problem. So you might have a team that's about to undergo significant change in the workplace. Stick them behind the wheel of a 4x4, blindfold them, and get colleagues to navigate as they conquer a muddy obstacle course. At the end of the day, they'll have learned to put their faith in the leadership of others. By understanding that colleagues can see a goal they can't, a person becomes more receptive to the idea that management's master plan is designed to get them to the right place - even if it means experiencing plenty of change along the way. So far, so simple. But what if you want to achieve multiple goals? What if, to continue with our rainbow metaphor, there's more than one gold coin in the pot? Just being an effective team requires your workers to master, and constantly hone, a complicated suite of skills. Time management, communication, trust. Problem solving. Delegation. These aren't just behaviours, or “things that have to be done”. They're vital elements of a team able to work effectively in a fluid environment. So how do you design an activity capable of capturing all these elusive qualities? In one respect, it's simple. Find a challenge that can't be solved by one person alone. Something that requires not just multiple skill sets, but active collaboration. To score the pot of gold, your test has to be “real world”. In other words, it needs to take the elements of good team behaviour, and put them into a situation outside the office window. By bringing communication, problem solving, time management and the rest out of the normal work context, you help your team to learn about them. It's the oldest trick in the book. Get people to do stuff they do every day, but in an unfamiliar environment, and they'll begin to notice what it is they are actually doing. Key team building events ask your teams to achieve a common goal by working together. This could be the creation of a machine, or a band performance. Incremental goals, like the consecutive unlockables in a citywide treasure hunt, are great for encouraging different skills to come to the fore. Smart device-based treasure hunts, which are run on tablets using a GPS-enabled piece of customisable software, could ask participants to solve clues, find locations, take photos and stage videos - activities that draw on a big pool of physical and mental accomplishments, but which all need the team to work together cohesively. There are two kinds of treasure hunt: self-run and managed. Each has its own set of team building advantages. Send your group on a self-run hunt, and they'll need to act coherently just to make it around the course. An extra element of accountability is built into the mix. If you don't complete each task, you can't unlock all the clues, and if you don't unlock the clues you'll never find the ultimate solution. 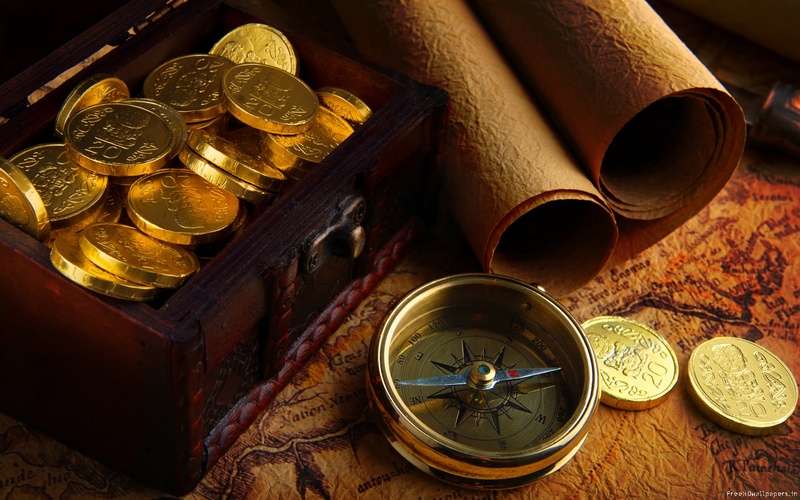 A managed treasure hunt offers more variety (and less reliance on technology, which can be a good thing if you want to introduce a change management element to the day). With paper based clues requiring cryptic and logical solutions, plus a shopping list of items to bring back at the end of the hunt, a managed challenge is more like an episode of The Apprentice. So which one will you choose? How you set up your corporate training day is up to you. Just remember to keep your eyes on the pot of gold at the end of the rainbow.